What are the Effects of Rain, Snow, and Extreme Cold on Real-World Behavior? The weather. 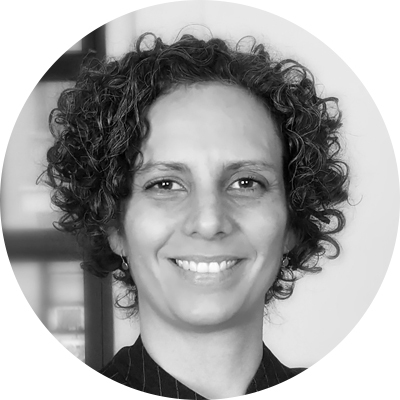 It’s been a primary motivating factor in what we do with our lives on a day-to-day basis for centuries, and the go-to topic for idle small talk for nearly as long. Now, thanks to advances in location intelligence and digital out-of-home (DOOH) media capabilities, weather can become an incredibly valuable marketing tool. 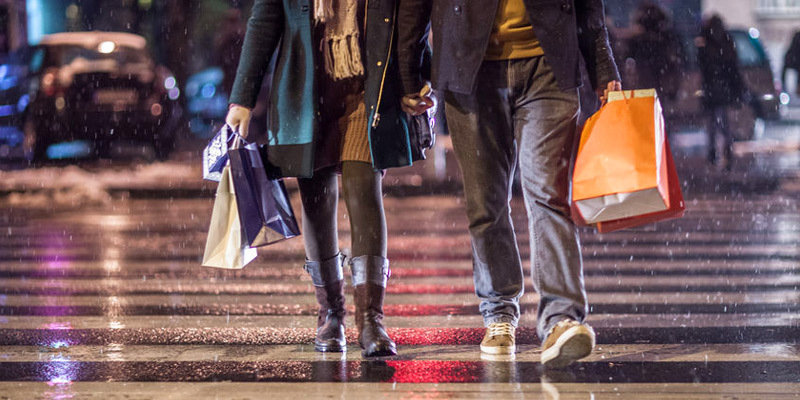 To understand the impact of weather and foot traffic across verticals, we used Ubimo’s Polaris platform to analyze real-world shopping habits in three warm-weather cities in the US — Atlanta, LA, and Miami — and five cool-weather cities — Boston, Chicago, Minneapolis, New York, and Seattle — across 13 verticals to explore how different weather conditions impact foot traffic. We were expecting to see similar behavior across cities; that snow would keep shoppers in all cities at home, for example. What our data revealed, however, is that a city’s general climate and its population’s expectations play as much of a role as day-to-day weather does. 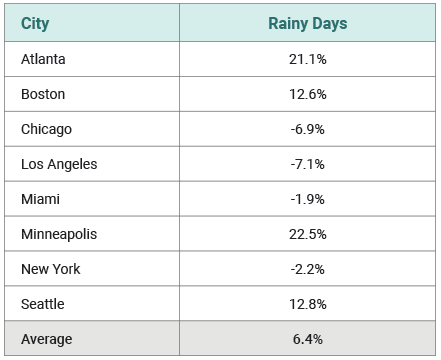 Regularly rainy cities such as Atlanta, Boston, and Seattle all show an increase in foot traffic on rainy days — 9.9%, 8.2%, and 8.1%, respectively — whereas it decreases in generally dry cities like Los Angeles. Chicago, a notoriously snowy city, is the only place in our analysis that saw an increase in foot traffic on snowy days. Thanks to advances in location intelligence and digital out-of-home (DOOH) media capabilities, weather can become an incredibly valuable marketing tool. 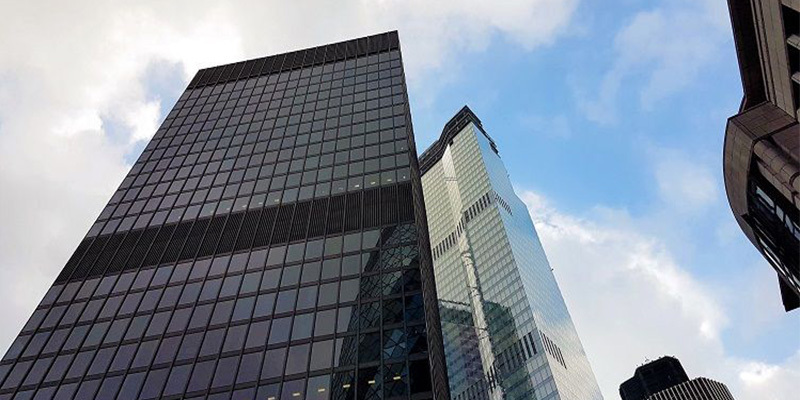 Different cities — whether they are hot, cold, used to rain, or unbothered by extreme cold — react quite differently across verticals. Understanding these behaviors can fuel timely and successful campaigns that leverage both the weather and the foot traffic it generates. Companies who are able to stand out by incorporating these insights into their marketing are companies that, we believe, will see higher engagement and results toward their goals. The table below represents the general foot traffic numbers, across cities and verticals, during inclement weather. The values are percentage variations from average foot traffic during regular weather. We will explore some of these in detail in the next section when highlighting specific examples of companies being creative with weather. In touch with these weather-based marketing trends, eBay recently experimented with weather-dependent ad messaging in England, a country with notoriously fickle weather in spring. 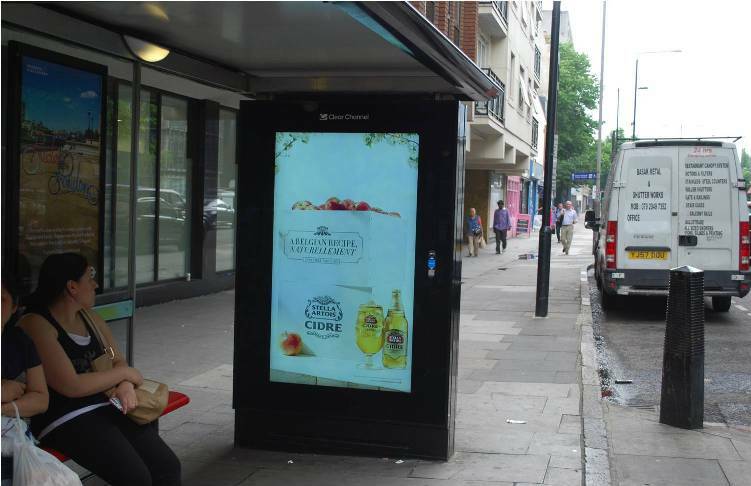 The online auction giant ran a week-long DOOH campaign, utilizing over 1,250 DOOH screens across the country. The ads, part of its larger “Fill your cart with color” global ad campaign, featured different products available on the site, as dictated by the weather conditions near each screen. 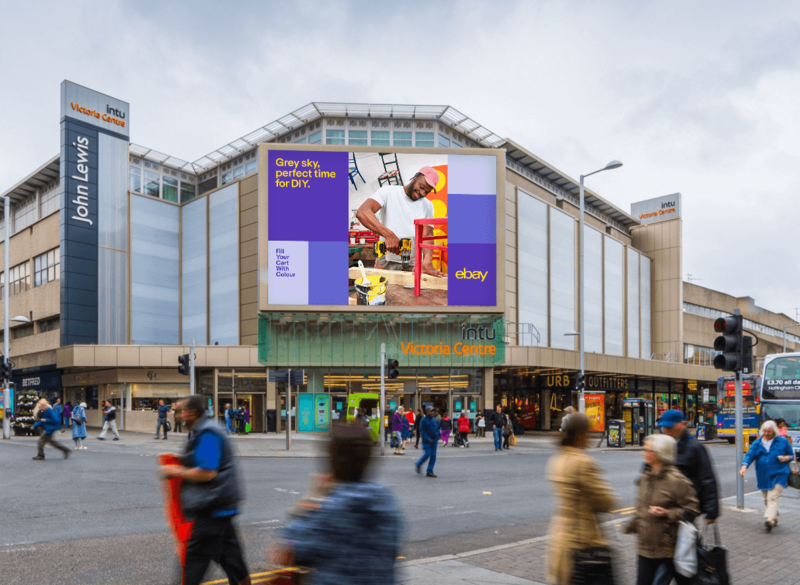 A digital billboard in London on a sunny day may feature gardening products, while one in an overcast Manchester focused on materials for indoor DIY projects, and a third in a rainy Liverpool displayed rain gear. The unifying element between the weather-differentiated ads were the campaign’s signature bright colors. One of the verticals we analyzed was Hardware Stores, go-to stores for gardening and DIY supplies. If we look at Boston and Chicago, some very interesting differences pop out — their behavior on rainy and snowy days could not be more different. It seems like rain inspires Bostonians to focus on home improvement, based on the 8.8% lift in foot traffic to hardware stores that city sees. But when it snows, their primary focus is on staying comfortable and warm indoors; hardware store foot traffic drops by 11.8%. Hardware stores in Boston can leverage these insights when preparing for this weather and adjust messaging as well as sense-of-urgency to attract people to their stores. Chicago, however, shows us a very different picture. With a 1.4% lift in rainy days and a -1.1% drop in the snow, it seems like Chicagoans are relatively comfortable with their home improvement practices and hardware store patronage. Hardware stores in the windy city probably shouldn’t launch completely weather-dependent campaigns, instead focusing on more nuanced alterations of existing campaigns. One thing is certain — neither Chicago nor Boston care too much for hardware stores on extremely cold days, as the lift drops dramatically when the mercury dips below 10 degrees. Knowing this, hardware stores can prepare for more quiet days, giving tips on how to stay warm and offering content to read under the covers in their blogs or social media. 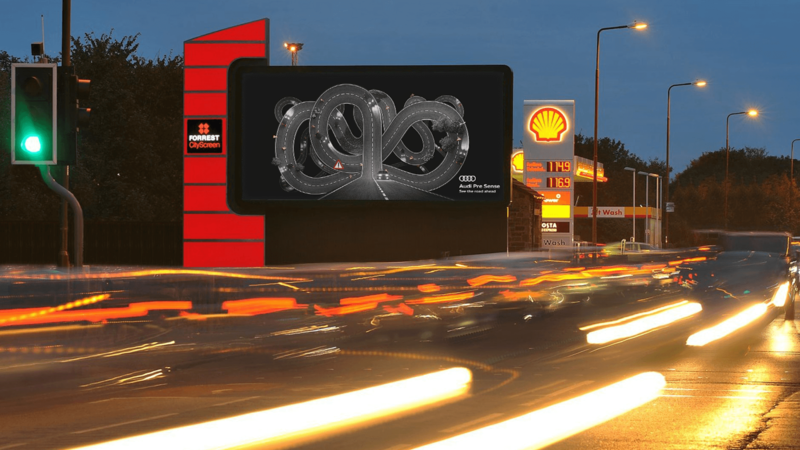 The United Kingdom also played host to an innovative Audi ad campaign, which featured on 211 digital roadside billboards in nine cities. The campaign was designed to highlight Audi’s Sixth Sense tech, including its Quattro on-demand four-wheel drive and Pre-Sense driving alerts. When traffic on the roadway was bad, as reported by Google, adjacent billboards would display a roadway tangled up into a knot. At times when traffic was regular, the billboards looked to local weather data — if inclement in any way, imagery and messaging related to Audi’s Quattro all-wheel drive capabilities was displayed. Audi’s decision to tie marketing messaging to the weather tracks with customer behavior in another important facet of car ownership — gassing up. Overall, traffic to gas stations increased during rain, though a city-by-city breakdown shows a pretty even split. Los Angeles (naturally), New York, Chicago, and Miami all see decreases in foot traffic to gas stations in rain, while Atlanta, Boston, Minneapolis, and Seattle all see increases. Snow has a more negative impact, with only Chicago seeing an increase. The most interesting cities in this vertical are Miami, Minneapolis, and Seattle. Miami shows a massive drop in gas station patronage during rain, a 21.4% decrease, while Minneapolis shows an almost equally massive 18% increase. When the rain turns to snow in Seattle, a city that sees little of it, people go to gas stations at the rate of 24.9% less often. It’s clear that, with the exception of Miami, a little bit of rain isn’t going to stop people from getting where they need to go; Audi was shrewd to run ads linked to rainy weather, and gas stations, as well as anybody advertising on Gas Station TV, would be shrewd to follow suit. After Stella Artois introduced Cidre, its hard apple cider, they mapped weather data against Cidre sales and discovered that temperatures two or more degrees above normal triggered increases in sales. Using that information, they began a DOOH campaign targeting street-level DOOH billboards, such as screens at bus shelters. These ads differed from the eBay and Audi ads in that they were not explicitly themed to correlate to the weather — instead, they were standard Cidre ads, but they were only displayed when the two-degrees-above-average threshold was met. During the period they ran these temperature-dependent DOOH ads, Stella Artois reported a massive 65.6% increase in Cidre sales. City-to-city and vertical-to-vertical, extremely cold days were the most consistent, with only two instances of increased foot traffic — a 3.8% increase in Boston in apparel store traffic (probably to buy extra scarves and gloves), and a 0.1% increase in grocery store visits in Atlanta (probably stocking up and preparing for the cold ahead). 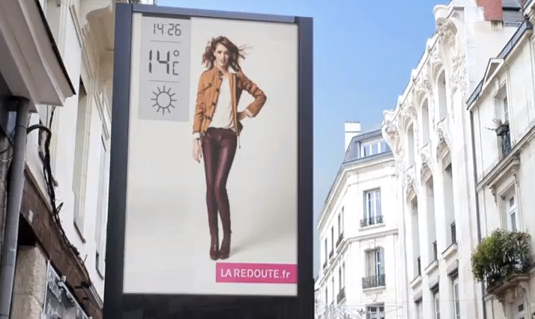 French fashion retailer La Redoute also did a weather-based street-level DOOH campaign, this one focusing on more than just temperature. Their campaign appeared on billboards activated by both precipitation and temperature. Depending on what weather condition was being detected, the ad would change — each version featured a single model dressed in a weather-appropriate outfit. La Redoute reported 34% website traffic uplift and a 17% sales increase while their campaign was running. Ubimo’s foot traffic analysis reveals that rainy weather’s impact on apparel shopping is 50-50: Chicago, Los Angeles, Miami, and New York all saw decreases, while Atlanta, Boston, Minneapolis, and Seattle all saw increases. The most telling thing here is the difference between cities with decreases and those with increases. 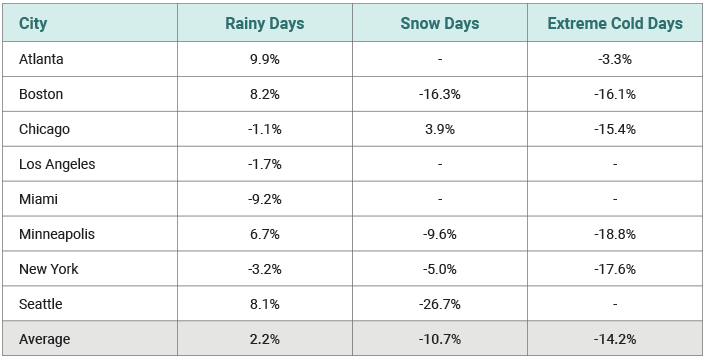 In Chicago, Los Angeles, Miami, and New York, rain decreases foot traffic for apparel stores in only single digit percentages, from -1.9% in Miami to -7.1% in LA. In contrast, all cities with foot traffic boosts were well into double digits: Boston had the smallest increase, at 12.6%, while Minneapolis had the largest, at 22.5%. Whether it’s because shoppers are looking for enjoyable indoor activities on rainy days, or because they were caught outside in outfits not fit for the weather — something La Redoute’s campaign was counting on — it’s clear that rain is no real impediment to apparel shopping. 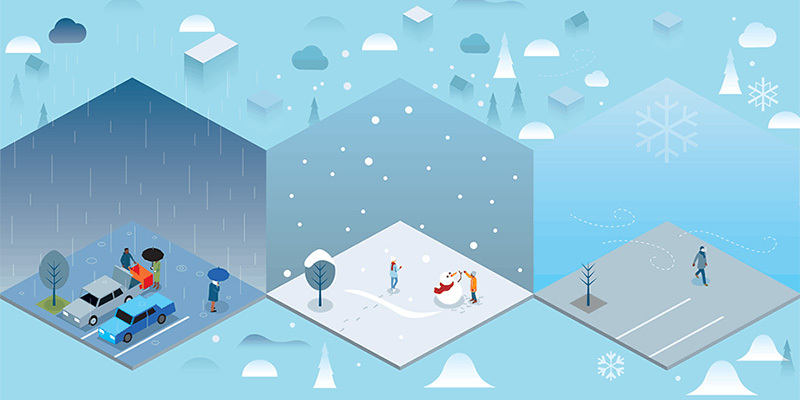 Weather and weather-related considerations play a unique and considerable role in the journey of customers, regardless of retail segment — whether its weather-related factors influencing purchasing decisions, or actual weather driving customers into, or keeping them away from, stores. 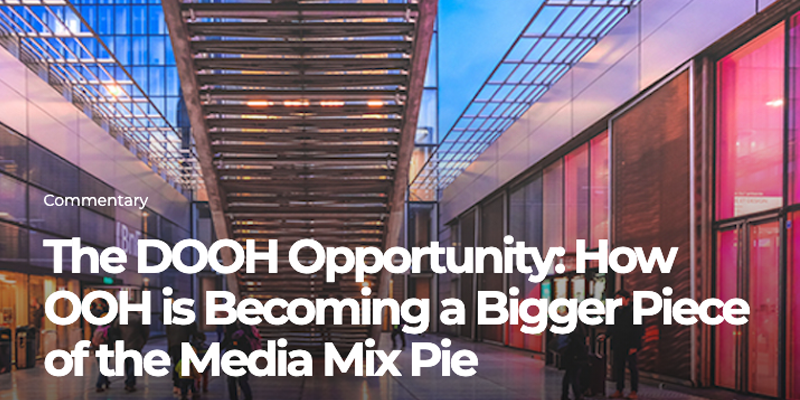 With growing OOH and DOOH capabilities, and location intelligence continuing to bridge the gap between physical and digital worlds, the role of weather-dependent advertising is only going to grow. For innovative, agile companies and marketing teams that really think out of the box, the possibilities are virtually endless. 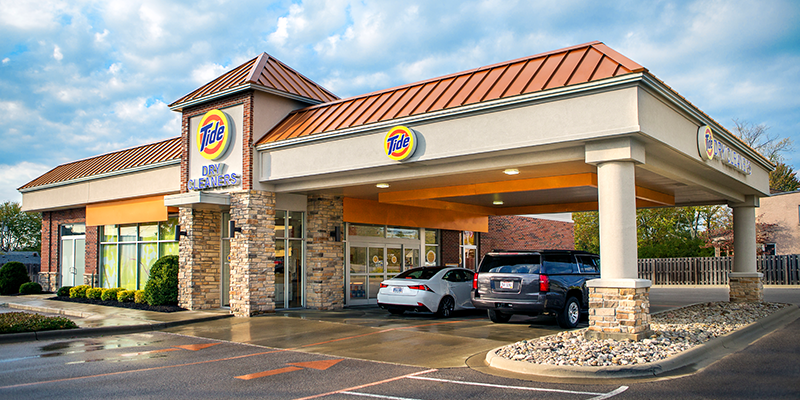 With growing OOH and DOOH capabilities, and location intelligence continuing to bridge the gap between physical and digital worlds, the role of weather-depending advertising is only going to grow. Disclaimer: This independent analysis is based on Ubimo’s location intelligence platform. As such, Ubimo does not have any relationship with companies featured in this report, nor should the independent analysis be construed in any way to suggest otherwise. Ubimo data is always anonymized and aggregated.